Musical Achievements: Dennis holds a Bachelors Degree in general music studies from Westfield state college. 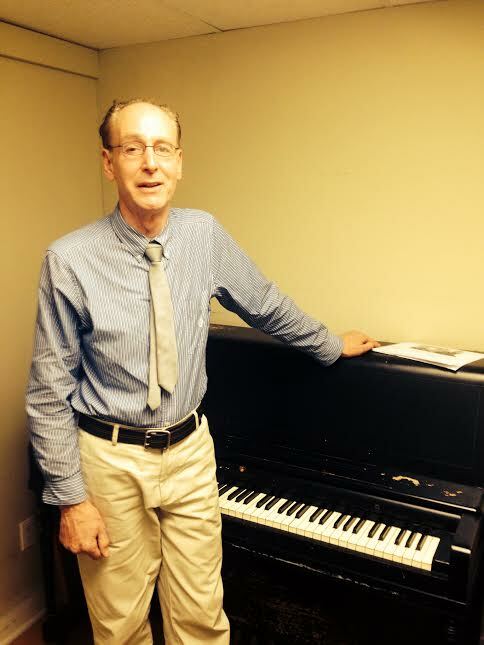 It was here Dennis Studied Jazz and Classical piano under Andy Jaffe & Ken Mazur before graduating in 1991. Dennis has played in various Jazz/Blues bands in the MA & CT areas. One group in particular competed in the 1990 Jazz Jamboree and received a tip of the hat my members of the Grammy Award winning rock group, Aerosmith. Most recently Dennis has been offering his Organ & Keyboard skills to many different local open mic nights and jam sessions. He has also been performing steadily with his Modern Rock/Pop outfit, Audios Graffiti and nationally recognized Aerosmith Tribute Band, Big Ten Inch. Approach To Teaching: It is very important for me as the teacher, to be interacting with the student at all times through the lessons. I particularly enjoy playing the exercises and songs from the lesson books for the students, so they may hear and see how the tunes sound. I also like the Alfred Keyboard Guide that neatly fits on the piano and helps students when reading the notes.